Your crock pot is here, once again, to save the day! 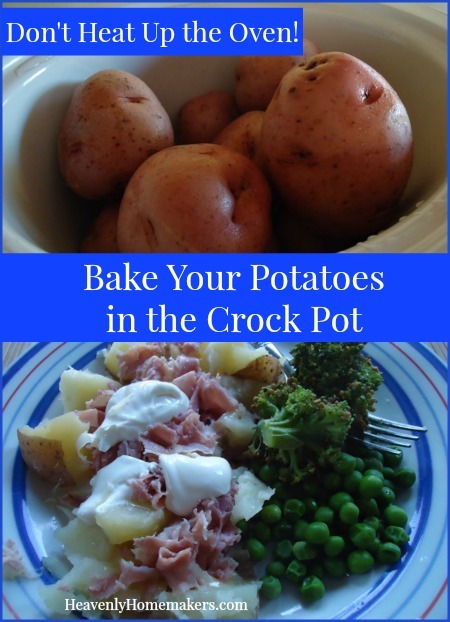 Allow me to fill you in on the great and easy way to bake potatoes in a crock pot! In an effort to avoid turning on my oven this week to bake potatoes, it occurred to me that maybe I could bake them in my crock pot. Am I a genius or what? Or what. My online search told me that others had already been there done that – and blogged about it too. So others are the geniuses, and I am a few years late in learning this wonderful potato baking method. I will, however, take the credit for figuring out that you don’t have to mess with wrapping each potato in foil. All of the instructions I found online included wrapping each potato lovingly in foil. I tend to skip this extra step in an effort to save time and to avoid putting aluminum on my food. Could foil-less potatoes be baked in a crock pot? I decided to try and see. I won’t keep you in suspense, because surely you’ve never wondered something so much in your life and the title of this post didn’t give away the answer even a little bit. You can, indeed, throw a plain ol’ potato in the crock pot and let it bake without foil. You don’t even need to poke the potatoes first. It doesn’t get any easier than that. You can cook as many potatoes as you need. You can use any size or variety of potato. And if possible, I would suggest making extras so that you can use your leftovers to make Homemade Hashbrowns. How should you serve your baked potato? Well, I personally love mine with lots of butter and sea salt. I’m sure you’re shocked. Sometimes we sprinkle on some cheese and call it lunch, along with a side of veggies and fruit. 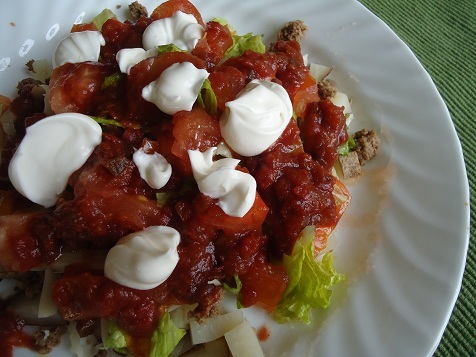 But if you really want a good baked potato meal, which is super easy and perfect in the summertime (now that we know how to avoid heating our ovens for this fine item), Taco Potatoes are awesome. 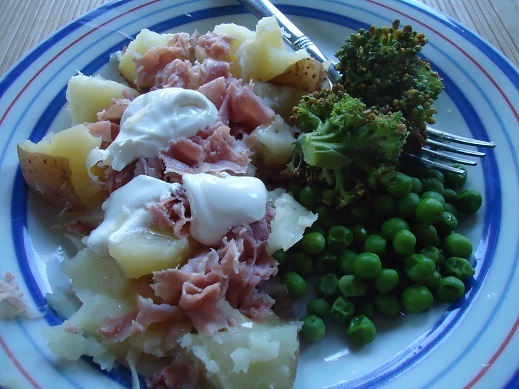 Or, how about topping your baked potato with chopped ham, chicken, or turkey, sour cream, shredded cheddar, and broccoli. So, so good. Do you love the idea of regularly putting Simple Meals on the table like we do? Become a Simple Meals member and we’ll do all your weekly meal thinking and planning for you! Get all the details here! Do you think this would work with sweet potatoes? meal, it’s nice to have the sweet potatoes out of the oven, so there’s more room in there. thanks ladies, I’ll definitely be giving this a try with both white and sweet potatoes! This got me thinking though, I wonder if you could cook squashes in the crockpot? I really want to roast some squash to puree to add to things for the extra nutrients, but the idea of turning on the oven to roast them is less than appealing in this heat! Rachel…the best thing about cooking squash in the crockpot is that you don’t have to cut it first. My mom and sister were amazed to see me throw a whole butternut in there in and close the lid. Mom whispered, “Does she know she didn’t cut it first?” Works great and is much easier to work with when it is soft. You may want to let it cool or get insulated rubber gloves so you don’t burn your hands while skinning and taking the seeds out. I have done the sweet potatoes in crockpot ,clean and rub with olive oil prick and place in the cooker, take out cool and then take off peel, add back to crock pot and put your fav stuff like brown sugar and honey….this is so good and easy. Yes, I’ve done this…without foil, too. Potatoes bake just fine without. : ) Lately, I’ve been baking potatoes in my toaster oven to avoid heating up the house. Of course, it doesn’t hold very many, so a crockpot would be better for bigger quantities. Did you have to add any moisture to the crock? I usually bake mine in the oven, no foil. Rubbed with olive oil and sprinkled with salt, pricked with a fork. I like the idea of not using the oven, especially when the weather is hot. Do you need to prick them before placing them in crock pot? We have used our crockpot for years to bake potatoes. When I make hashbrowns, I cook the potatoes in the crockpot all night and the potatoes are ready to shred the next morning. We also use our crockpot to cook sweet potatoes. That’s how I’ve done mine for a few months! I love it! I’ve made baked potatoes in the crock pot without the foil several times. I find that the potatoes on the bottom of the pot get a little crunchy where they touch the bottom, but we don’t mind at all. Why waste time and energy with foil (nevermind the risk)? That is one of my go to ways to make potatoes. Although after I toss them in the crock I usually toss them in a little olive oil and butter. If you cook them on high the ones touching the liner will crisp up, yum. I am new to crock pot cooking. I am going to try this. Thanks! I have been doing this for a couple years now and will never go back to the oven/foil way. I do however, put a little water in the bottom of the crock. Someone mentioned that the ones on the bottom get a little crunchy, this should help that, plus I remove the ones that are finished so none of them are over cooked. That can make them hard also. I have found that potatoes in the crockpot without foil are so much better because they do not steam themselves inside the foil. I do however put a small piece of foil in the bottom of the crock to avoid the crunchy dark skins on the bottom. This is too funny. I just “baked” a crockpot full of potatoes on Monday. We had a baked potato bar for dinner and then I grated them for hashbrowns and put them in the freezer for a later date and time. Great minds think alike! This is fantastic! I did try the foil wrapped potatoes that I had read about, but I don’t like to use any more foil than I have to. I am so glad to know that we will be having baked potatoes again…without the oven. Yes, you are a genius, and I have no problem with anyone who is genius enough to come up with something in the kitchen to help me. Blessings to you and your family today and always in Jesus Christ! I started doing this too a couple years ago, but I cook mine on high and it works fine too (I never seem to remember to start the crock pot in the morning). Thanks for the reminder — I currently have no AC on the kitchen level of my house and I am trying to plan our meals for next week, so baked potatoes are definitely going on the list! try topping your baked potatoes with baked beans and sour cream, yum! Yep, I have been doing this, too! It is super easy and I don’t have to heat up my house by using oven. LOVE my slow cooker! I like to drizzle a little oil on them and sprinkle some sea salt. I’ve done them on high and low (depending on time), and I’ve done sweet potatoes as well. I loved all of them. This is brilliant! The crockpot is the easiest way for us to have dinner on time when we both get home from work. You just helped us expand our weeknight meal selection! I have done this before one time for a large crowd. Haven’t thought of it in a long time. I do like the crunchy skins. Genius! I usually do mine in the microwave (I know, I know!). We cook potatoes this way all the time. Especially nice to have ready when coming home from church (they need to be on high to be ready after church). If you have more than one crock pot, the other could be keeping chili warm for chili-topped potatoes! YUM! One way that I have prevented the “crunchy” bottoms is to set a small vegetable steamer in the crock first before placing the potatoes in. Then add about an inch of water at the bottom. This keeps the potatoes moist, but doesn’t allow them to sit right in the water (making the bottoms mushy). I’m with you on wanting to minimize aluminum foil! What a blessing to receive this of all days. had company coming over and volia’ DINNER! Yahweh Bless! sound wird i’ll give it try but what temp. did you put it on ? My crock pot just has a “low” and “hi” setting. I set mine to “low” for this. I’ve been doing this as well. I also “discovered” (through other bloggers, lol) that I can put potatoes on the bottom of the crock pot and a meat on top of them and a lighter veggie on top of that (like peas) and have an entire meal ready at the same time. Fyi: each item IS in foil…not all thrown together, hehe. I’ve been doing this for over 30 years. I do, however, put crunched up foil on the bottom. It’s wonderful to have two crocks going at the same time during the busy home school years. For super easy mashed potatoes, bake the potatoes in the crock as usual, (with about a 1/4 c. of hot water) remove the foil, and then mash the steaming hot potatoes right in the crock with milk and butter. (Cream cheese is a nice enhancement as well) You can keep the mashed potatoes on the warm setting until you are ready to serve them. I saw your post this morning and I decided to try it out. I am so grateful!!!!!!! They came out perfect! I had filled my large crockpot to the top to use extras over the next few days. I am so grateful I did- my poor hubby came home very sick. :( I’m sure I’ll be extra busy the next few days, so it’s nice to have something done ahead of time. And I did plug in my crockpot on my deck, so I didn’t heat up the house. My mother has used this method for years,and keeps encouraging me to try it. I keep my crockpot pretty busy as it is – I think it might be time to get a second! thanks for sharing. I’m excited to finally try baked potatoes in my crockpot! We have done this with sweet and regular potatoes. Love the simplicity of it and so tasty! Yes, I’ve tried the crock pot method and it works great. I have switched to making mine in a pressure cooker because it’s super fast! I can cook 5 to 6 regular sized potatoes in just 7 or 8 minutes. Just put an inch or so of water in the bottom, cut the potatoes in halves or thirds, and start timing when the steam starts coming out and the rocker is going. Pretty easy, and I can have a potato dinner on in less than half an hour. This was perfect timing! We went camping for a week and part of that was with friends who wanted a nicer “sit down” meal one night. I happened to have the crockpot in the camper for keeping things warm while cooking and so I threw the potatoes in there before we left for the mornings activities. When we finally got back to camp at 6:00, the other mother was trying to brainstorm ways we could keep the kids busy while we waited for the potatoes to bake over the fire. She had no idea they were already done! Thanks so much! Wow! I have not used my crockpot much – don’t know many recipes – but I love this! Anymore ideas with a crockpot? Just wanted to let you know I tried the crock pot method for baked potatoes. I couldn’t believe how great they came out. I wanted to make potato salad for the upcoming days ahead, so cooked the potatoes, turned them off after the 8 hours, let the crock cool down, put the whole crock insert into the refrigerator for overnight. Next day, took out cold potatoes and cut into bite size pieces for potato salad. Thank you for giving me an easier way to make potatoes for my potato salad, without boiling potatoes and possibly getting too mushy. Last night my husband balled up foil and pit in bottom of crock pot. Then on top put a whole chicken some red potatoes and carrots. Cooked overnight. We have a healthy lunch. He hates the chicken too greasy is why putting all on top to keep it from cooking in it. It is wonderful. Rings should clean easily in dishwasher. Thanks for this! I just tried them with foil yesterday and ran out so now’s a good time to try without! 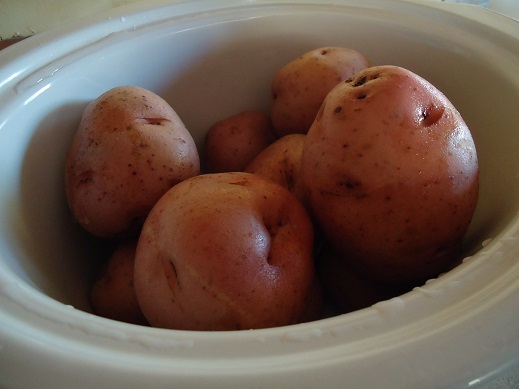 To bake potatoes/sweet potatoes…..how long do you have to bake them in a crockpot and at what temp…..high or low and for how long on each temp.? Low, 6-8 hours. High, 4 hours. Does it matter what type of white potatoes you use? I noticed in the picture you use red potatoes, but will it take longer for say, Russet potatoes, to cook? I’m also curious – Is it the same time for the typical “baking potatoes” that are 2 – 3 times the size of the Russet potatoes? We’ve been microwaving them as we don’t always know we’re going to eat them, but there are plenty of times we plan having them, so from now on, no more microwave!! I also wouldn’t be “baking” more than 3 or 4 at a time since it’s just 3 of us. Same time for all potatoes! I would think that 3 of them would cook in about the same amount of time. Any kind of potato should work! I used Russets – and they came out wonderfully. We had baked potatoes with meatloaf. Great idea for potatoes! I love your suggestions of adding ham and cheese to the potatoes. We are dairy free and egg free due to food allergies, but have a cheese substitute we can use. This is a great idea for a light dinner. Does anyone know if this would work with spaghetti squash? yes spaghetti squash works. I just rolled up some foil and set it on the foil whole and cooked on low while I was at work. Laura (post July 17, 2013)…. you and many of those who posted regarding foil-less potatoes in the crock pot are truly meal saving “lifesavers”. My husband has recently been diagnosed with diabetes (type 2) and we since then have been trying to eat the way a diabetic needs to (this goes for the entire family). So add THAT onto my parents coming for dinner this pm AND then I opened the cupboard to see that I had NO FOIL!! My oven was being taken up pork chops being baked all day!! How to I “make” these sweet potatoes without having to “doctor” them up, thus allowing each person to “fix” their own the way they want (ie: my husband the low sugar route)? I found your post and walah!! My sweet potatoes are in the slow cooker (aka: crockpot) as we speak!! Thank You once again!!!! Ooh, I’m FINALLY trying this today and have 4 organic big baking potatoes cleaned up and in the crockpot on low and hope to be ready for dinner when I get off of work. Then, it just donned on me… With the holidays coming up and the few times I have to make mashed potatoes… OH my, I could put all of my potatoes in the crockpot and let them cook all day and then make mashed potatoes when I get home?!?! And if I do half and half with skins on, should I go ahead and peel half of them before putting them in crockpot? Someone earlier said they do them in the Toaster Oven. Does anyone know what temp. and how long? I’m new to crock pots and was specifically looking for a no-foil version of baked potatoes. This helps save the planet and a bit of money, too! Thanks so much. Tried potatoes in the Crock pot after reading this post! It was so easy! Turned out great! Thanks to you and all those who commented with more great ideas, love the info on squash! 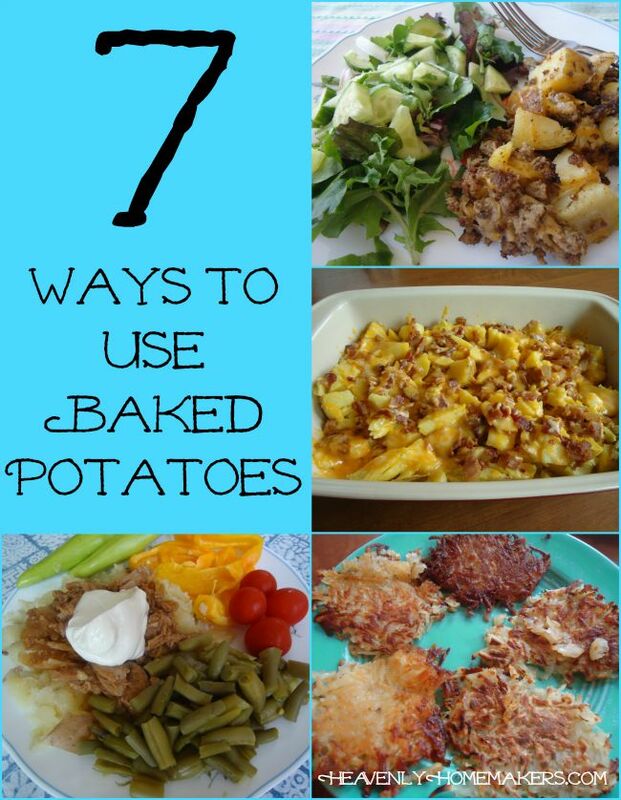 Baked potatoes without the hassle or heat in your home….genius!!! You are a genius! In a mad scramble I googled, crock pot potatoes with no foil, and I got this post! YAY! I did already poke holes in the potatoes, but I’ll know for next time to skip that step. You mentioned in another post that you also cook potatoes in a roaster. Could you give the specifics for that method? (cooking temp and time, how to stack them inside, etc) I am cooking about 40 potatoes for a craft show concession stand and am looking for the best way to do it! We won’t have access to an oven, and crock pots would not cook enough potatoes. Thanks for any help you can give! How many potatoes have you done in a roaster at once? I am concerned that the ones touching the sides will cook faster or even get burned before the ones in the center cook enough. It’s been a while, but I’ve probably done 30 potatoes without any problem. I stumbled across your blog recently and am loving all that you are sharing! I’ve been pinning like a mad woman! Love your blog! Thank you soooo much! What a relief to know how to bake potatoes without aluminum!!! Thank you so much for the recipe! It totally worked great- did a croc pot full for out church potluck! This is exactly what I was looking for…I’m doing it tomorrow because there won’t be room on the BBQ and it’s way too hot to use the oven. I love the way you wrote this article! Thank you so much for this information! We are going to be doing a baked potato bar for dinner tomorrow night and I don’t want to heat up the house and still have dinner ready when I get home from work! It sounds so easy and I know it’s going to be delicious. Thanks for the information on how to cook squash too as we all love squash and especially near the holidays it will free up space in the oven and still have our yummy squash!! I was going to make mash potatoes this way. (I mean the easy way at the top: throw some potatoes in the crock pot, go out for a few hours, come back and mash potatoes and stir in milk, butter and salt.) I googled for validation, and was beyond happy to find this page. :) I think I love you. I am wondering if anyone know if you filled a roaster pan will baked potatoes (hopefully not in foil) but I need at least 40 to 50 potatoes (so a crock pot won’t work) at what temp should I cook them and how long? Does it work similar to a oven? but when its full how much extra time should l give? I need to do this is about a week so hopefully someone has some ideas. Will this work if you peel them first for family who does not like the skins? I am sad to report that my slow cooker potatoes did not bake! I had baked them in the slow cooker before (with foil) but was excited to try them without. Unfortunately, after 8 hours on low, they were still hard. I panicked, kicked the heat up to high, and let them go another 1.5 hours. A bit better, but still firm. I threw them in the regular oven for the last 30 minutes, but they never really recovered. They were kind of cooked, but you had to cut them with a steak knife. I think I can turn them into home fries for another meal, but I was sad that the baking didn’t work out. I guess it’s back to the foil for me. if I have 25 russets and I want to oven bake in a roasting pan how long and what temp, Im just afraid of the crock method with a bbq alot of people and I can just keep warm in crock after? I’d bake them in a roasting pan for 2 hours at 350, then keep them warm in crock pots! I just wanted to say you are wise to avoid cooking with aluminum. That isn’t something we want migrating into our food!